Well, this has all escalated quickly, hasn’t it Ello? Billed as a new ad-free for-all-people social media site, the little known platform suddenly skyrocketed in popularity, specifically as the Drag Queen-fueled debate on using real names was rebuffed by Facebook’s upper crust. Ello came out strong, standing on a motto and poised manifesto that “You are not a product”. I was just as pumped to hop onto this strange new space (ello.co/thetiffy, if you were wondering). With its back-and-white-aesthetic, typewriter script, sleekly designed simplicity, the ramp-up began as an exodus of friends found me there, and I them. However, digging into the background and start of Ello brought more questions than answers. “We may share your personal information with third parties under several circumstances, including (1) if you tell us it is OK to do so (2) if we believe that we need to do so by law (3) if we contract with a third party service provider to offer services for you — for example, with a credit card processing company if you decide to buy something through Ello. This is not the anti-capitalistic online answer that I think a lot of us crave. Instead it might be the more transparent alternative to the new reality: someone will try to sell you something at some point. Andy Baio has been making the rounds in a recent post on Ello that, “they took a $435,000 round of seed funding in January from FreshTracks Capital, a Vermont-based VC that announced the deal in March” and details his skepticism eloquently. Which only goes to show, in the cycle of funding and profit, Ello may not be treating their users as a product, but they certainly have to sell something to someone. The idea that the company is going to rebuff offers from larger corporations, and attempt to create a global community without direct advertising, feels more like a utopian experiment than a viable business model. Todd Berger, a founder of Ello, addressed Baio’s note, responding, “Ello is privately funded, and a very large majority of Ello is owned by its 7 founders. We control the company. There’s no pressure for us to do anything we don’t want to do…” And posted an article, “There Is No Exit Strategy.” However, as recently as today, the philosophical inspiration for Ello’s lofty Manifesto has decided to leave the platform due to his own disappointment in Ello taking the investment money. Then again, how is one to run an online service or platform (with such a huge new user surge!) and keep making improvements to their Beta? Diet Coke, server space, and ramen are essential to this kind of business, and are not free. Ello seems to say they are not a business in the traditional narrative of making money, serving ads, and targeting their users — but unless they’ve somehow reinvented the Internet-money-wheel, then they might just be another place to put a profile photo. Like all good consumers, we want variety. And Ello is the new precious-tasting option on the menu when we’re all starving for privacy online. But it might not have the ingredients we think it does. UPDATE 9/28/14: Ello is currently down. Outage. Better get more Red Bull, guys. UPDATE 11/7/14: Annnnnnd Ello is totally a ghost town in terms of activity. Cue the lone tumbleweed. http://www.oliverandsons.com/wp-content/uploads/2014/09/Untitled-design-17.png 400 790 attiya http://www.oliverandsons.com/wp-content/uploads/2017/03/logo.png attiya2014-09-26 23:22:152017-10-23 12:13:18Ello, For Now. There’s an art to moving around. A science of exploring. We’re not saying we’re masters or anything, but we like to think we’re getting there. Here’s a preliminary list of some basic tips to traveling the globe. Figure out your phone ish. Not because you have to call your significant other every night – which is cute and all – but because instant access to the Internet is clutch. Take photos and post them to Instagram, look up words you don’t understand quickly, find the coolest local bars through Foursquare, avoid getting totally lost via Google maps, and using messenger to chat with new friends (no one overseas uses text, it’s all What’s App or Fbook… at least where we’ve been), which means that you need to be outfitted with a data plan that fits your needs. We recommend 100MB for every week, which is on the conservative side. 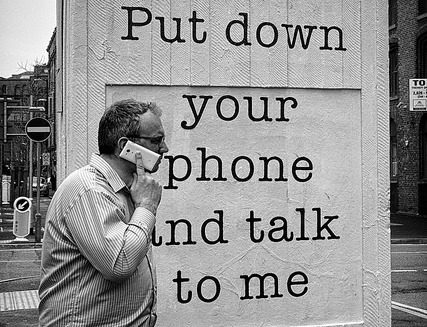 Careful though, calling and texting will get you in deep trouble. Also, be sure to go into “Settings” to turn of “Cellular Plan” when you’re not using your phone directly. There may or may not have been a cell phone bill that exceeded $400 in one month, and we may or may not have cried ourselves to sleep. But remember, you’re traveling. Enjoy what and who’s around you. Get cash money. Credit is great and all, but that adorable bakery on the corner has absolutely no use for plastic – except maybe the bags to put your baguette in. Most people opt to visit the Exchange kiosk in the airport when you arrive at your foreign local, but we like to not deal with the hassle and use a major debt card to hit an ATM and pull out $$$. Standard rates usually apply, and there isn’t a line that’s 20 tourists deep to deal with bleary-eyed off a 7-hour flight. 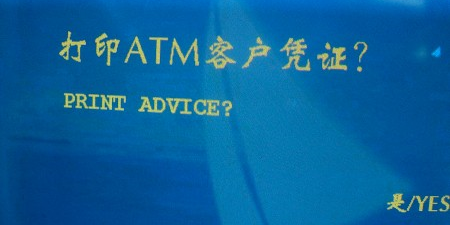 Also, check out the English translation on those money machines, it’s hilarious. Sleep on the plane. 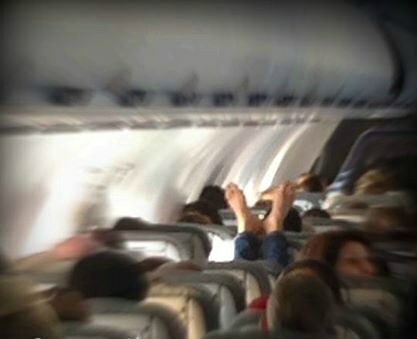 We cherish our Zzzz here at O+S headquarters, but finding them in-flight is tough. Yes, it is god awful trying to sleep in a tiny chair next to strangers and feel fully rested, but you’re going to be a complete zombie if you don’t get some semblance of rest before you embark on your adventure. The popular solution to this involves doing as much work / reading / writing as you can to tire you out, drink copious amounts of your preferred alcohol, and get that neck pillow and eye mask on. Is it just us or is the white noise of a jet engine kinda soothing? Do NOT do this… even if tempted. 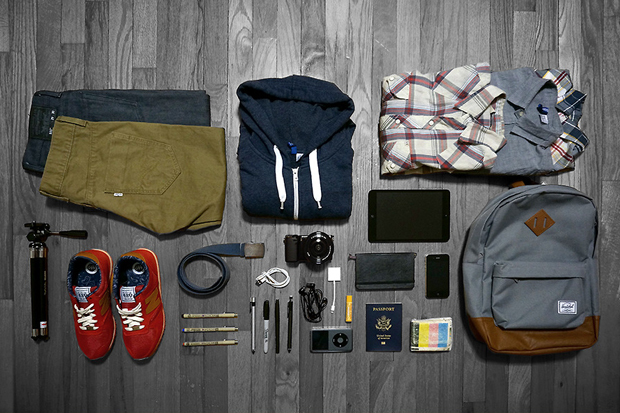 Pack light. This is difficult for us, because, you know… options. Although, as actual adults, we grew out of that “outfit for everything” mentality and simply opt for the black-with-pops-of-color groove. Mix and match, people. Additionally, you can look at it as being able to justify all that local shopping – not to mention you’re doing your duty to empower an economy. Okay, obviously we’re just fans of travel shopping. This might be a little too light for us, but we dig the style. Check for events! Ya know, we love our research, so whenever we’re headed somewhere new, we make every attempt to find out what’s going down in the Palazzo on Saturdays, or at the public park in the summer, or simply when farmer’s markets and book fairs happen. 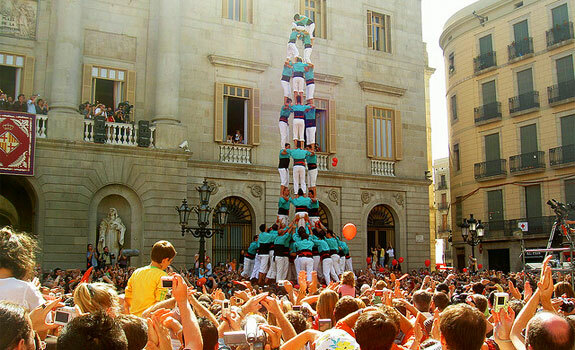 Not only because it’s awesome to catch a city in the thralls of a local event, but also you can plan accordingly around it if you want to avoid crowds or chaos. Missing this would be ill-advised. Let us know your tips and travel stories in the comments. We can’t even tell you how f*ck’d up that is. Pardon our language. But seriously, this is a big deal. As a business that exists in the digital world, and is provided an income by businesses that also use the internet to reach customers, we pay real-life bills (including cable) and are red-blooded taxpayers that perpetuate the existence of giant conglomerates and government agencies. These are the same forces that are attempting to monopolize the online world as we know it. Everyone should be given the opportunity to utilize this ecosystem fairly and equally. Thanks to friends Ben and Nathan for getting our gears going on the subject. We hope to hear you join in on the conversation too. It’s hard to explain how wonderful it is to be able to boast about clients we have — past or present — but basically it is like getting a ride from a unicorn to Disneyland (just go with it). 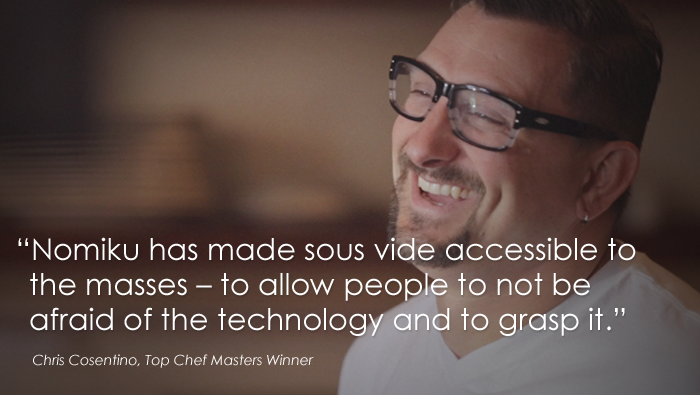 And, Nomiku is no exception. 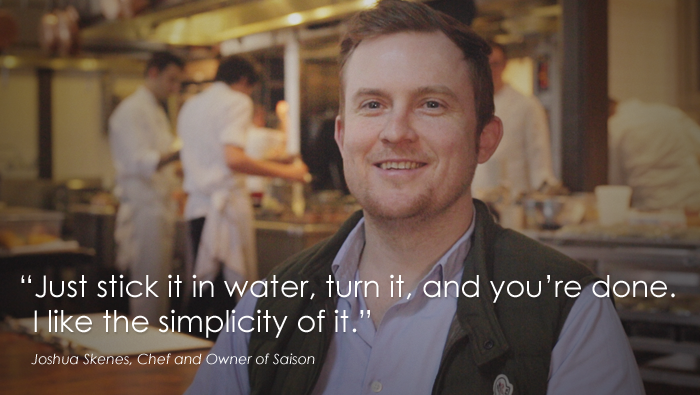 This Bay Area company lead the at-home sous vide movement through Kickstarter a couple years ago, creating one of the easiest-to-use and most powerful home immersion circulator on the market. 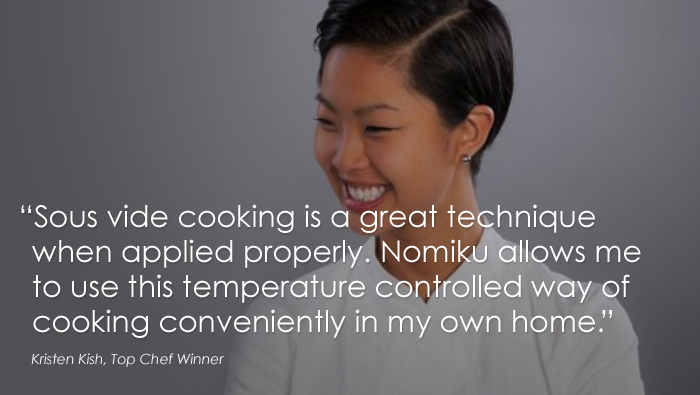 Essentially, Nomiku is an amazing tool to make gourmet meals in the classic French style of “sous vide“. 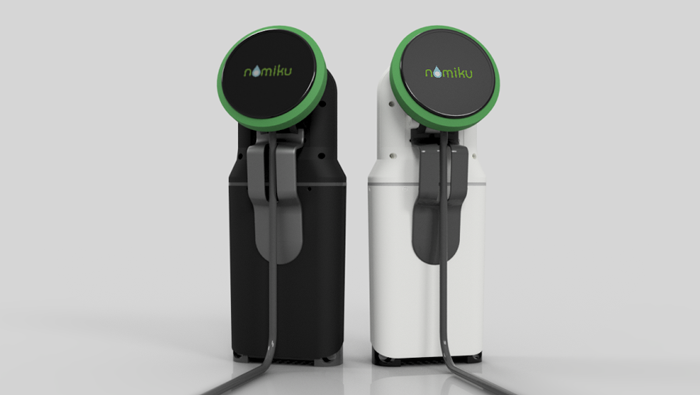 Using only a large pot of water, some air tight bags, and the food of your choice, Nomiku makes the most delicious culinary feat possible — perfectly cooking protein, veggies, eggs (and pretty much everything) with the twist of a cap! Seriously though, we have one. It’s mind-blowing. As we mentioned, we have their first generation and are currently addicted to this perfect brunch sandwich and love their Pinterest account for new recipes on the daily. Your kitchen, mouth and tummy will thank you. So what are you waiting for? Their new Kickstarter is almost over, so hurry and get yours today.